SHELLY CRESCENT/HAY LANE – parking restrictions. A letter was received from Monkspath School which detailed their recent plan to install an additional access onto Shelly Crescent between Shelly Lane and Chivington Close. However, the plans were cancelled due to insufficient funds. The letter goes on to request that the new access be funded as part of the proposals in this report. The access detailed in the letter would be likely to ease pressure on the car park near Farmhouse Way. However, it would almost certainly increase on-street parking between Frankholmes Drive and Chivington Close. This is one of the areas at which the proposals are aimed to reduce inconsiderate parking. Consequently, it is not recommended that funds are made available for a new access as described. 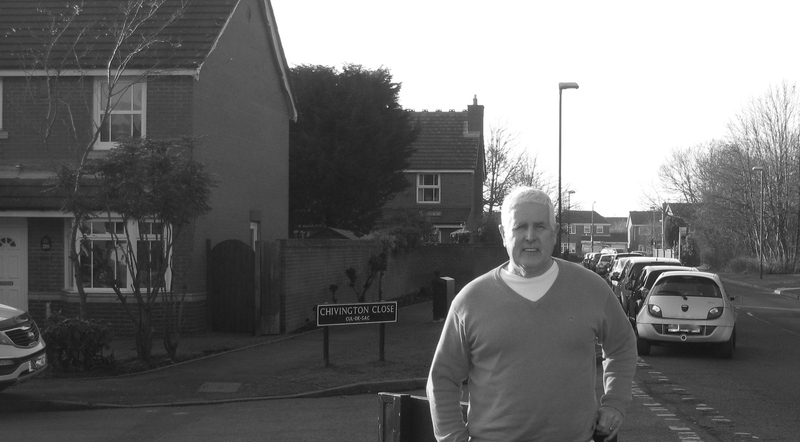 A representation from a resident on the corner of Frankholmes Drive and Shelly Crescent was received, objecting to the proposal to change the restricted waiting lines to “at any time”. The resident states that there are never any vehicles parked within the bounds of the proposal, but that the restrictions would remove the on-street parking available for their visitors, family, etc. The resident goes on to state that the only time there is a problem with parked vehicles is at school collecting, dropping off times and consequently, a total prohibition is not warranted. The amended order is proposed at and near the junction in order to make the junction as safe as possible and reflects advice in the Highway Code, that parking near a junction should be avoided. Additionally, the proposals aim to maintain access for two way traffic, particularly buses, near the junction. No representations of support have been received specifically relating to this area. One email of general support has been received, but no address was given. Consequently, it is recommended that the proposals at this junction are reduced so that the new restriction will extend approximately 12-13m into Shelly Crescent (see plan attached). A representation was received from a resident of Hay Lane, whose property is adjacent to the proposed single yellow line. They request that, instead of outside their property, the line is implemented on the opposite side of the road where there are no properties. Part of the original reason for the proposal in Hay Lane was a complaint that driveways are wholly or partially blocked by parked vehicles or that visibility is restricted by parked vehicles. The other reason was to maintain sufficient carriageway width for vehicles to access the end of the cul-de-sac and to turn around safely. Whilst it would be possible to remove the restriction outside the properties from the proposals, a restriction on the opposite side of the road would have to be formally re-advertised. Consequently, it is recommended that the restrictions are implemented as originally proposed. A representation was received from the manager of Priory Court, near Whitford Drive. The representation supports the proposals but requests that they are extended to cover the approaches to the pedestrian refuge to the north of Whitford Drive. An extension to the proposed restrictions would require formal advertising and would represent a new scheme. Consequently it is recommended that the request is added to the list of requests from which future schemes are chosen, and that no further action is taken at this time. I submitted a response seeking effective enforcement of any traffic regulation orders that follow, stating that if these restrictions were needed to ensure safety for pedestrian and other road/footpath users, then we should not tolerate the circumstances whereby a parent is allowed to stop on the yellow lines to collect his/her child. I have also cited the need to ensure that any displacement that creates additional problems is tackled effectively and immediately. As a near neighbour I shall be watching developments at the outset. I can expect the regulations to be in force by the beginning of the new school year, in September 2015. I live in Kettlebrook Road just off Shelly Crescent and would welcome double yellow lines in Kettlebrook Road and Shelly Crescent, It has become increasing difficult to gain access to & from our drive during school drop off/pick up times, parent don’t seem to care where they park and it can be quite dangerous reducing visibility to the road. It is absolutely pointless campaigning for restrictions/double yellow/red lines as a huge number of selfish, careless inconsiderate parents who drop their child/children at the school have absolutely no thought or considerations for anybody other than themselves. I am a parent who drives and parks carefully & safely to take and collect my young children to and from school and am absolutely at the end of my tether with some of the absolute a*****les who park on double yellow lines, on pavements, on both and also in disabled spaces around and at the Shelley farm – I have complained to the school on various occasions and have also called the council to complain but nobody cares. Myself and 3 of my 4 young children nearly got run over this morning by an inconsiderate idiot who shouldn’t have a driving license in a Black BMW1 (I do have the registration) driving fast, inconsiderately & unsafely the wrong way round the car park next to Monkspath School. Something needs to done before a child is run over, its not the case of if…it’s when !